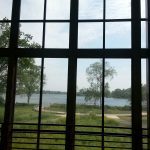 Marshbank Park West Bloomfield review, info, and pics. 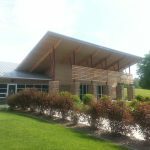 Marshbank Park in West Bloomfield MI is a 100+ acre park located Hiller Road about 3 miles north of Orchard Lake St. Mary and situated on Cass Lake. 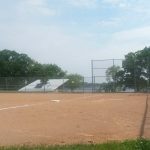 Marshbank features sports fields, paved walking paths, 2 playgrounds, a sledding hill, a fishing pier, and more. 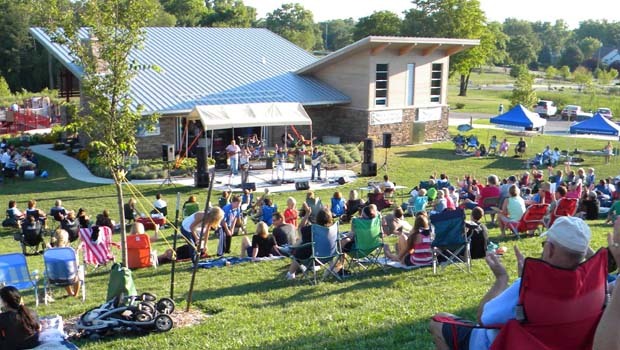 The sledding hill hosts outdoor summer concerts. 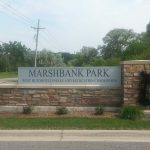 Marshbank Park is home to many seasonal events held by our friends at West Bloomfield Parks. Marshbank Park West Bloomfield is beautiful and reminds me of a condensed version of Stony Creek Metropark – probably no coincidence since it originally was a Metropark. I was impressed by the fitness path. 10 feet wide and paved, the fitness trail traverses the park grounds through rolling hills and protected marshes. Despite the hills, all the walkways at Marshbank are safe for patrons with wheelchairs or those that may have difficulty getting around. Each of the parks facets is readily close to easy-access parking and modern restrooms. 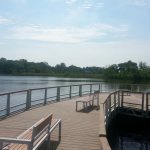 The Marshbank fishing pier is also well-maintained and handicap accessible. The pier even has canoe / kayak launching site further down the wetlands shoreline. 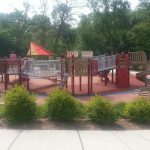 Marshbank park has 2 playgrounds suitable for ages 5-12. They’re a tad small, yet modern and provide soft, padded surfaces. I’m looking forward to testing out the Marshbank Park sled hill. The sledding hill is conveniently located at the front of the park near the lodge. The close parking and easy access to an indoor warming shelter / indoor bathrooms should make sledding ideal. The hill seems steep enough for some great sledding. 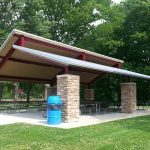 Marshbank Park has 2 picnic shelters that are available to rent during the summer months. 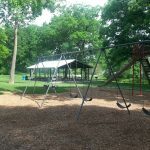 Marshbank Lodge, a fully-enclosed shelter near the park entrance, is available to rent year-round. 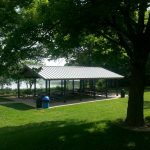 You can rent Marshbank Park pavilion / picnic shelters by calling the offices of West Bloomfield Parks at 248-451-1900. 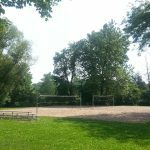 For the sports minded… Marshbank has 2 outdoor volleyball courts, 2 baseball diamonds and plenty of wide-open spaces. Marshbank does not have a beach or lifeguard and does not allow swimming. 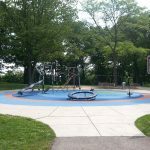 Marshview Park is open daily from the hours between 8a and dusk. There is no entry fee or admission to visit.